A: Just as parents learn to read their baby's signs for sleep and hunger, they can also learn to read their baby's signs for needing to eliminate. In fact, most parents already know what some of these signs are, such as the straining facial expression or the telltale grunting and bearing down that precede a soiled diaper. Practicing Elimination Communication (EC) is just a matter of responding a little differently to these signals from your baby. 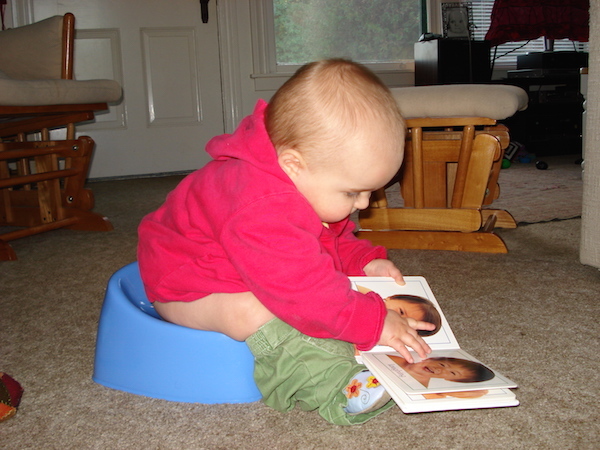 Taking your baby to the potty can be easy and rewarding!